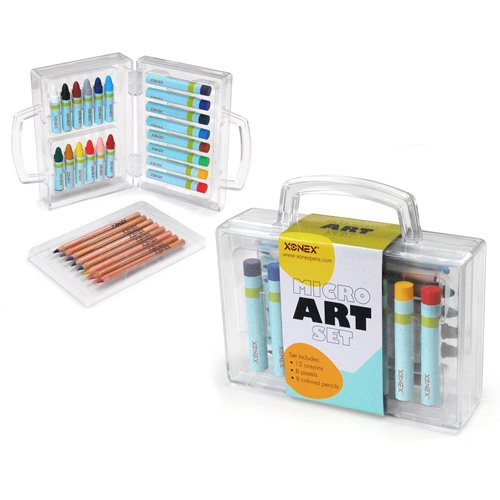 Compact, clear acrylic case includes 12 micro crayons, eight micro colored pencils, eight micro oil pastels. Shrink–wrapped with sleeve. Measures 5" x 5" x 1.5"